Clients receiving our bulk data include auctioneers, OEMs, and investment researchers. We would like to discuss your particular application. Please contact us. 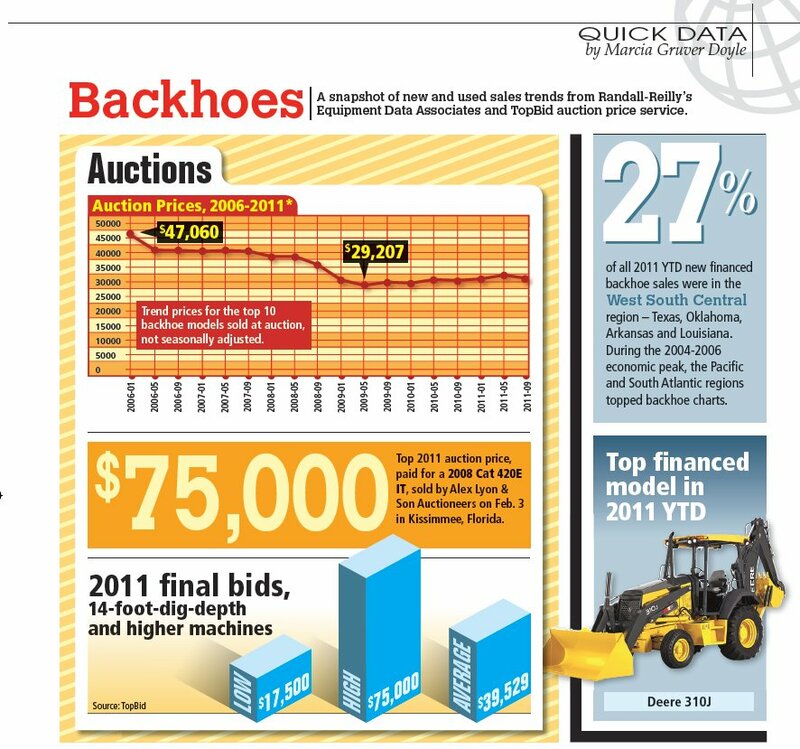 Top Bid provided Backhoe Loader price trend data for EquipmentWorld magazine.